Hot Off the Press – March 28, 2018. Scientists at the National Institute on Drug Abuse (NIDA) Intramural Research Program (IRP) have uncovered evidence that shows a more complex and elaborate role for the body’s hard-working G protein-coupled receptors (GPCRs) than previously thought, suggesting a conceptual advance in the fields of biochemistry and pharmacology. With more than 800 members in the human genome, GPCRs are the largest family of proteins involved in decoding signals as they come into the cell and then adapt the cell’s function in response. NIDA is part of the National Institutes of Health. Manipulating how cells respond to signals is key to developing new medications. Although pharmacologists have studied GPCRs for many years, there is still a debate on how they operate — are they isolated units that randomly collide with each other or are they deliberately coupled together to receive signals? 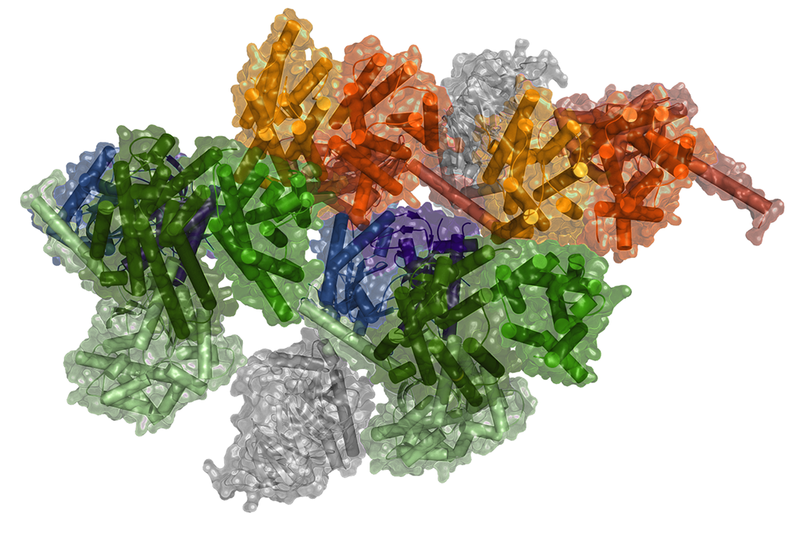 The NIDA scientists conclude that GPCRs form part of very elaborate pre-coupled macromolecular complexes. Simply put, they act as little computing devices that optimally gather and process information coming into the cell, allowing the cells to adapt and change their function. To unravel the complex journey of the body’s GPCRs, scientists used biophysical tools, including fluorescent biosensors; biochemical tools, such as cell signaling in neuronal cultures; as well as computational models. Nature Communications, 9 (1), pp. 1242, 2018, ISBN: 2041-1723. G protein-coupled receptors (GPCRs), G proteins and adenylyl cyclase (AC) comprise one of the most studied transmembrane cell signaling pathways. However, it is unknown whether the ligand-dependent interactions between these signaling molecules are based on random collisions or the rearrangement of pre-coupled elements in a macromolecular complex. Furthermore, it remains controversial whether a GPCR homodimer coupled to a single heterotrimeric G protein constitutes a common functional unit. Using a peptide-based approach, we here report evidence for the existence of functional pre-coupled complexes of heteromers of adenosine A2A receptor and dopamine D2 receptor homodimers coupled to their cognate Gs and Gi proteins and to subtype 5 AC. We also demonstrate that this macromolecular complex provides the necessary frame for the canonical Gs-Gi interactions at the AC level, sustaining the ability of a Gi-coupled GPCR to counteract AC activation mediated by a Gs-coupled GPCR.